Water ponding on a deck or balcony surface (or staining due to improper slope or drainage devices) can be indicators of deck and balcony problems. Other problems include improper flashings, sealants or coatings, and improper deck/balcony attachment to the structure. Poor design and construction can be the beginning of many problems that can result in structural failure of the deck or balcony. Property owners should look for exterior stucco or interior drywall cracking and any staining due to possible water intrusion, which can lead to mold or dry-rot. More frequently, deck and balcony problems are often the source of much greater damage discovered below the surface and hidden from view. 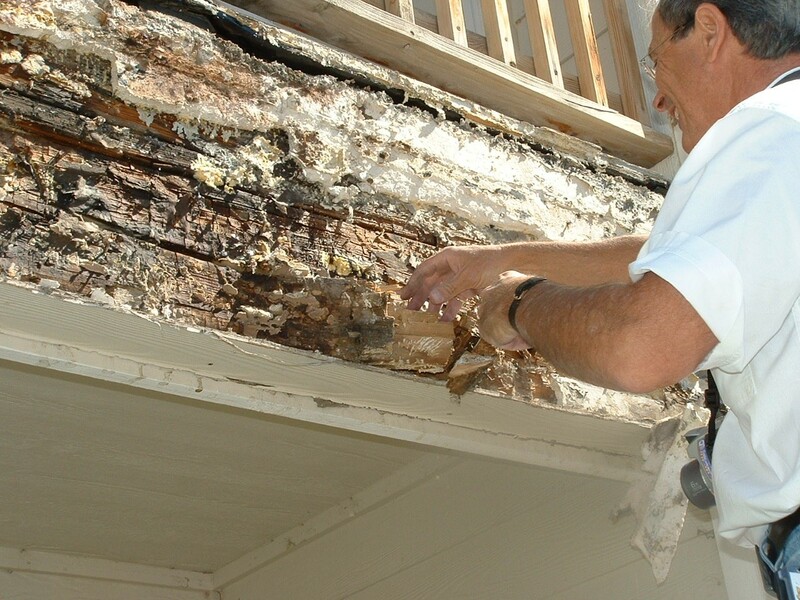 Colorado is so dry, should we really be worried about mold or dry rot? Yes. Especially on surfaces that allow water or snow to sit instead of running off. When water soaks into concrete, wood or stucco, it can cause significant damage to those materials and anything embedded in them. For example, stucco is often installed on wood framing. When water is allowed to soak into the stucco, it becomes trapped in and around the wood framing which should be waterproofed. If there are any punctures in the waterproofing or if it was not installed correctly, there is a greenhouse effect around the wood framing. During a typical Colorado day, that area could heat up and cool down significantly causing cracking – which allows more water access – and creating an ideal mold growth environment which will undermine the wood structure. Similar will happen with metal in concrete. As water penetrates a concrete balcony, the freeze-thaw cycle causes concrete deterioration and rusts any embedded steel posts, tension cables or fasteners.